The teaser of Antariksham created a stir with the audience as many were surprised with the manner in which the VFX and visuals were showcased with the space set up. 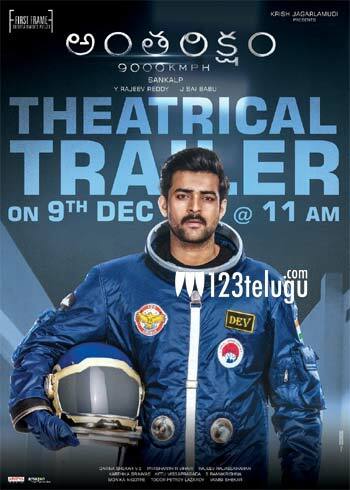 Now, the latest we hear is that the film’s trailer will be launched on the 9th of this month at 11 AM. Antariksham is one of the most awaited films in recent times and has Varun Tej playing an astronaut. Award-winning director, Sankalp Reddy is directing this film which has Lavanya and Aditi Rao as the female lead.